Produces no visual effect at all with out the appaloosa gene present. With appaloosa the mutation PATN1 of this gene heavily promotes white blanket markings. 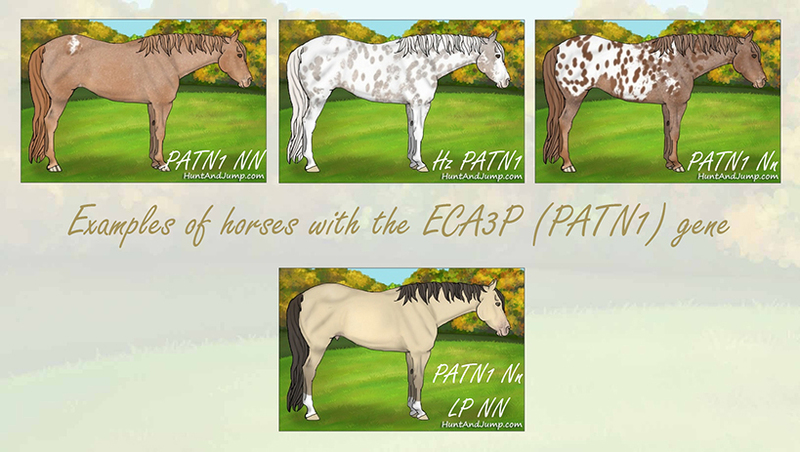 Homozygous PATN1 horses will tend to have very large blanket markings and may be full leopards.